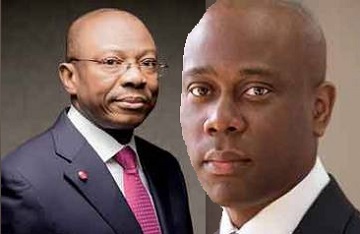 Sterling Bank’s CEO, Yemi Adeola and Herbert Wigwe, the Managing Director of Access Bank Plc have reportedly returned the sum of N5billion each, totaling N10 billion to the coffers of the Federal Government from political slush funds fraudulent acquired during the administration of President Goodluck Jonathan, through the embattled former Petroleum Minister, Diezani Alison-Madueke, Sahara Reporters says. Sterling Bank’s CEO, Yemi Adeola, who was arrested on Wednesday in a raid on his bank by EFCC operatives, was released last night after he deposited a payment of N5 billion, Sahara Reporters confirmed from EFCC sources. According to one of our sources, the money returned by Mr. Adeola was in partial restitution for a transaction of $88 million he received from Nigeria's former Petroleum Minister, Diezani Alison-Madueke.